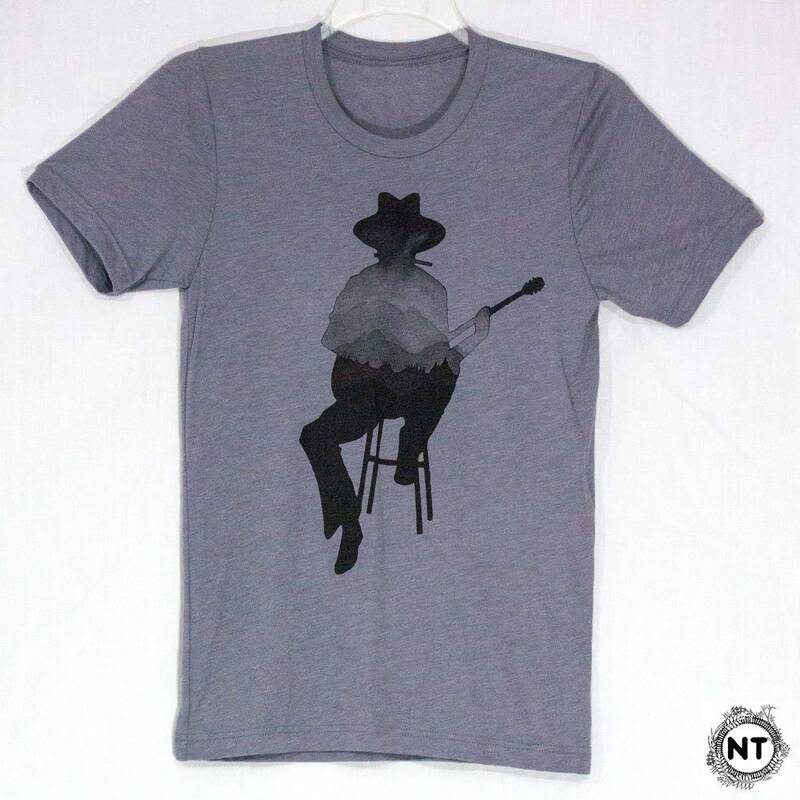 Guitar Player Graphic Tee for men. 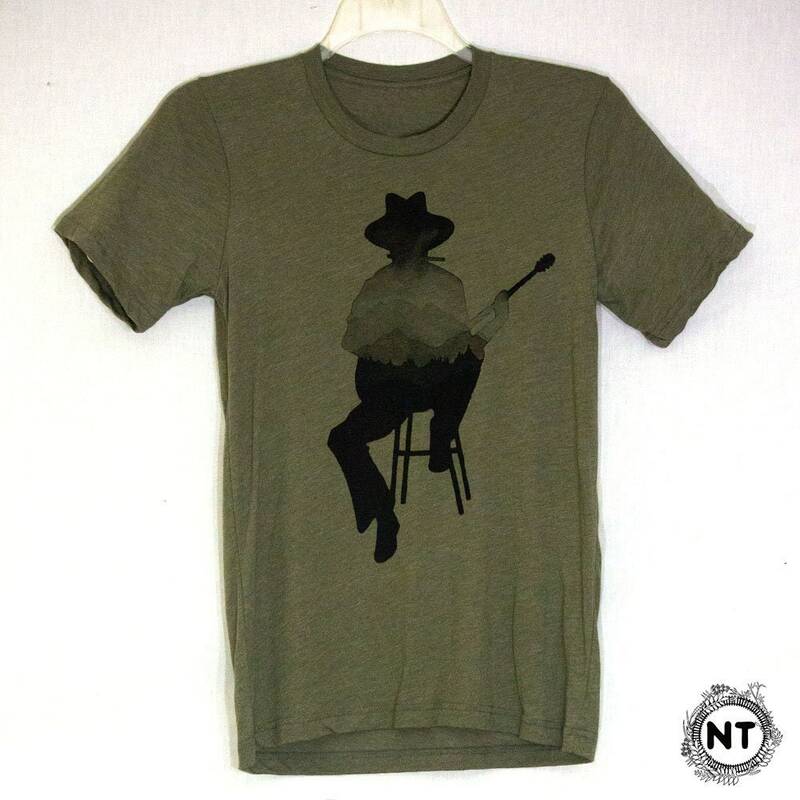 Inspired by Bob Dylan, Woody Guthrie, and the Northwest, it is hand drawn and printed by the artist. 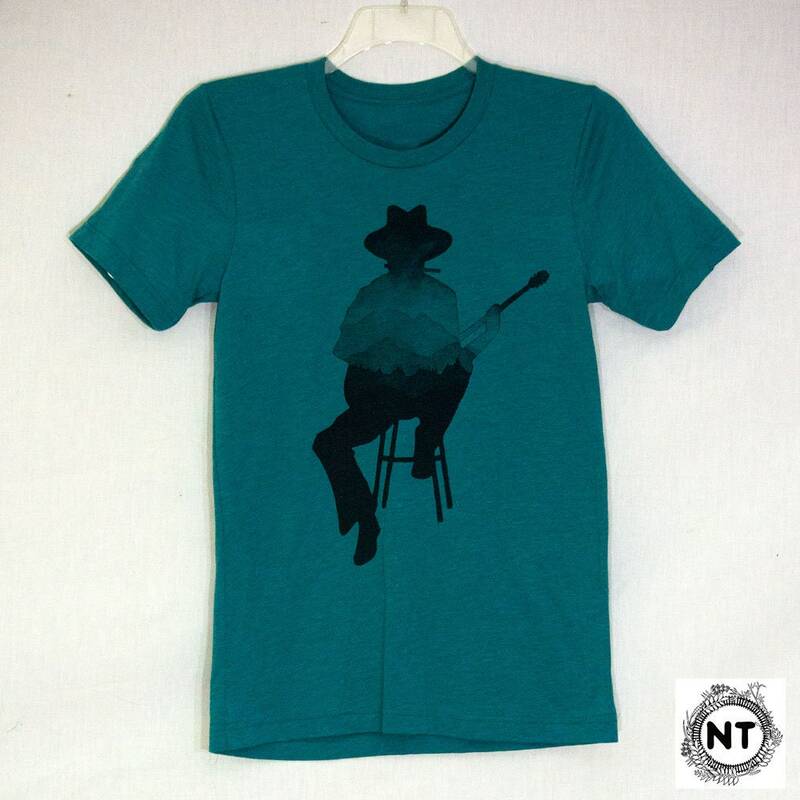 Printed using non-toxic water base inks, and heat set for machine washability. 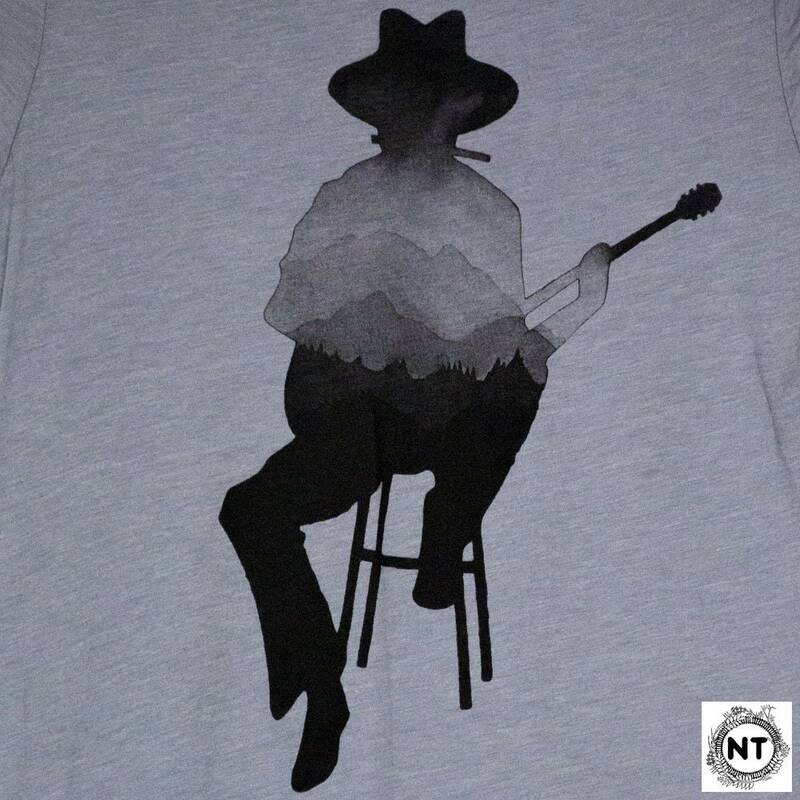 --It is recemmended to wash your shirt in cold water and dry it inside out on a low setting. 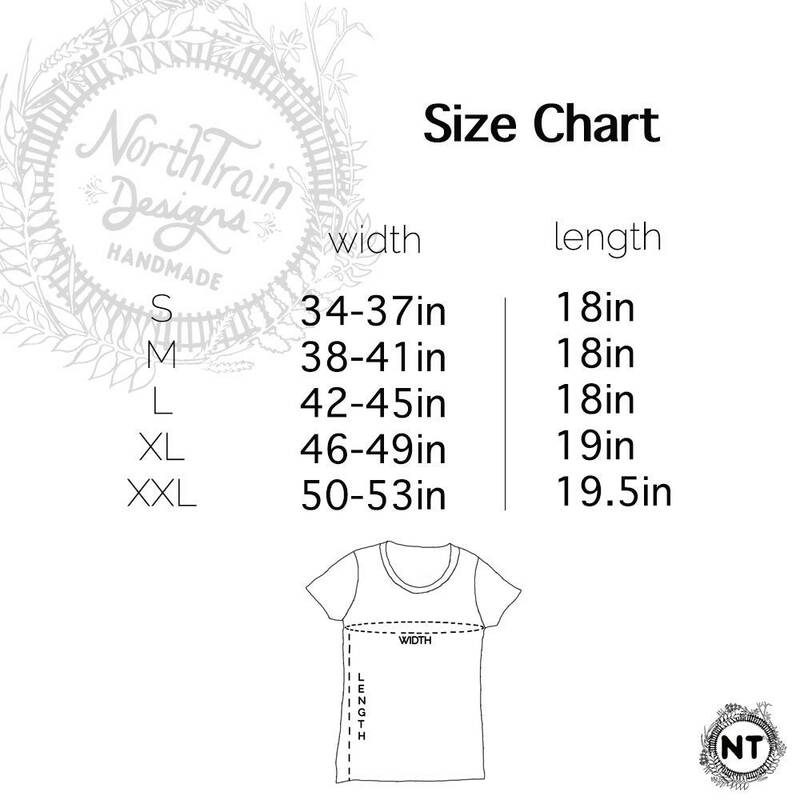 The size chart is created by measuring the garment flat, so if you feel you are a few inches larger than the chart indicates it will be tight, or more fitted. The fabric stretches about 2 inches more than is included in the size chart. If you are unsure of your size, or are buying this is as a gift please feel free to contact me to get help deciding the right fit.